What’s so ‘Super’ about that Tuscan? It is a matter of much debate who was the first to coin the now trendy moniker, although their origins are mostly attributed to the hallmark wines Tignanello and Sassicaia beginning in 1974, both marketed by Antinori. What is more clear about the history of these lovely wines is that Super Tuscans originated in Italy as wine estates aimed to make higher quality wines that didn’t necessarily fit the strict legal regulations in place for wine production as set out by the DOC. It is hard to imagine in the relaxed landscape of California where we have some general laws about labeling appellation or varietal but otherwise are relatively free to experiment, blend, and proprietarily name to our delight. In Italy the DOC regulations mandated everything from which varietals could be grown in which regions including the strict percentages in which they must be blended (like the inclusion of white grapes in Tuscan red wine! ), to precise accepted levels of alcohol, acidity, and extract as well as establishing viticultural regulations such as restrictions on yield and specific winemaking practices. These laws preserved the practices of low quality and high quantity. Wine estates that dared step outside the box were relegated to the lowest generic label of Vino da Tavola (or table wine) that had been historically the mark of bulk swill. These quality wines changed the ideology by wearing Vino da Tavola as a badge of honor, which began a revolution in Tuscan estates. With the goal of creating wines of more depth, intensity and body, estates began the previously unthinkable use of French oak barrels and blending with international varietals like Cabernet Sauvignon. 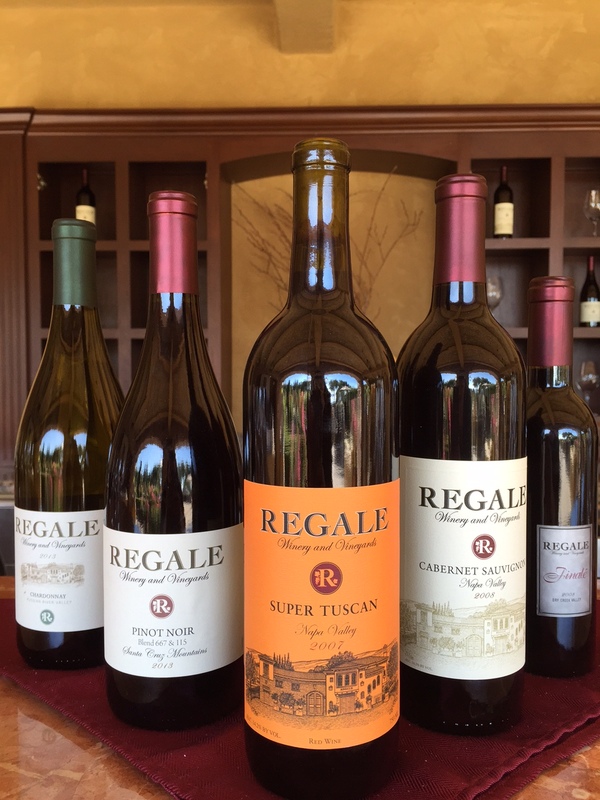 Our Regale Super Tuscan calls to mind that focus on quality that is present in all Regale Wines, and pays homage to the producers who dared to step outside the expected boundaries of the time. In classic Tignanello style, our Super Tuscan is a blend of predominantly Sangiovese with a splash of Cabernet Sauvignon. While we didn’t trek to Italy, our Super Tuscan grapes were sourced from the Napa Valley on the lower end of the Silverado Trail. With a smoky, earthy nose, ripe cherry and currant on the palate and a rich tannic finish, this wine definitely represents what you would expect from a classic Super Tuscan. Now that you know a little more about the history of Super Tuscans, come taste at Regale to see just how super a Super Tuscan can be!